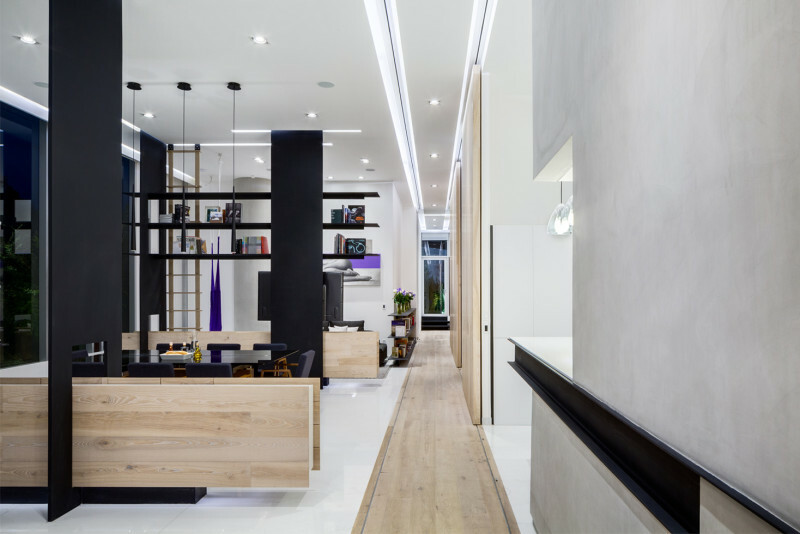 When Archetonic were designing this apartment for a couple in Mexico City, they took what was a large open space, and divided it into three distinct smaller spaces, but they didn’t simply put up solid walls like many others would have. Let’s take a look at what they did. Starting at one end of the room, we see the living room/lounge area, with a large sofa, a couple of arm chairs and a piano. Between the lounge and the next area, the dining room, there’s a custom-designed, built-in wood cabinet. 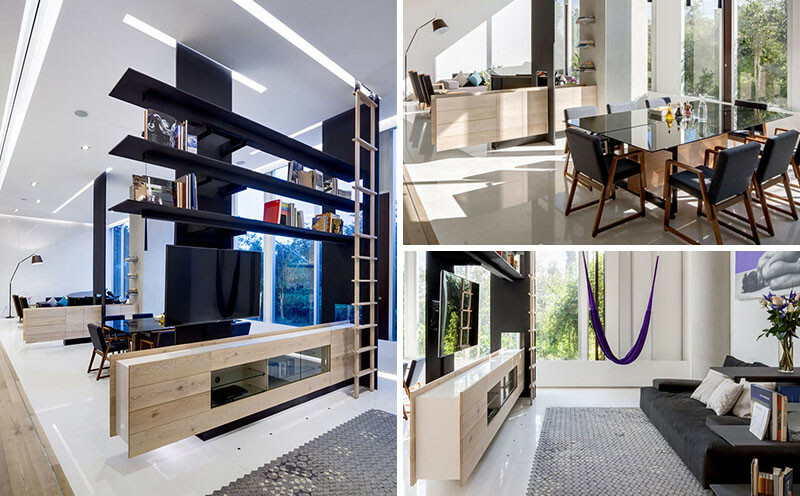 The cabinet was kept low, so even though it divides the spaces, light and views are still able to pass through. 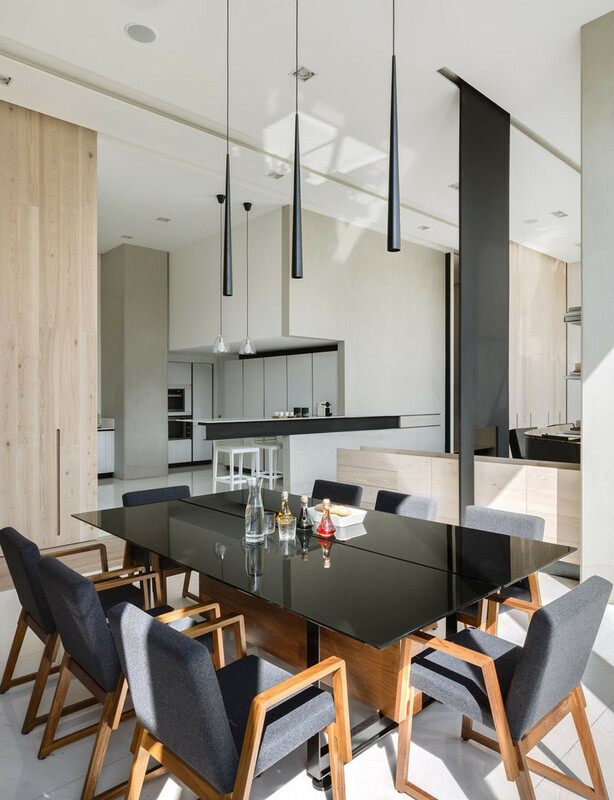 The cabinet is also able to serve as a sideboard, that is useful storage for the dining area. 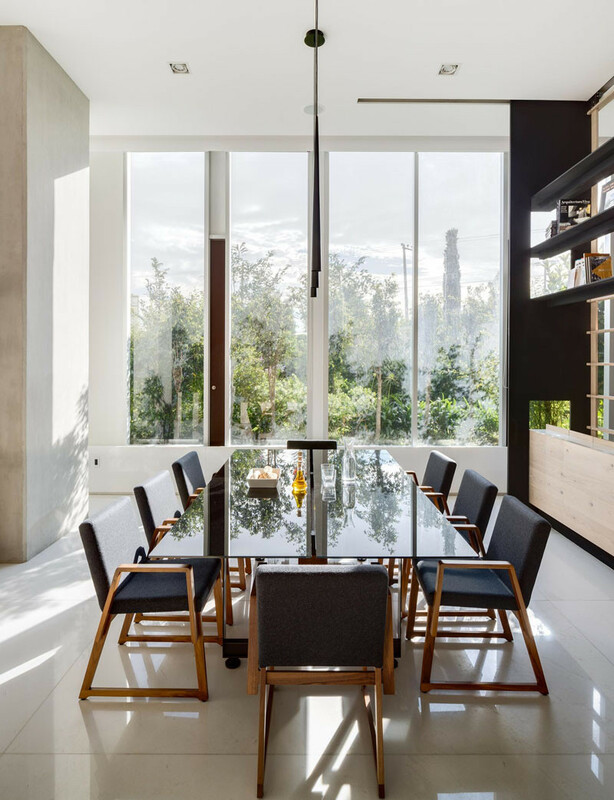 The dining area has a large 8 person table, with three minimalist pendant lamps hanging along the length of the table. 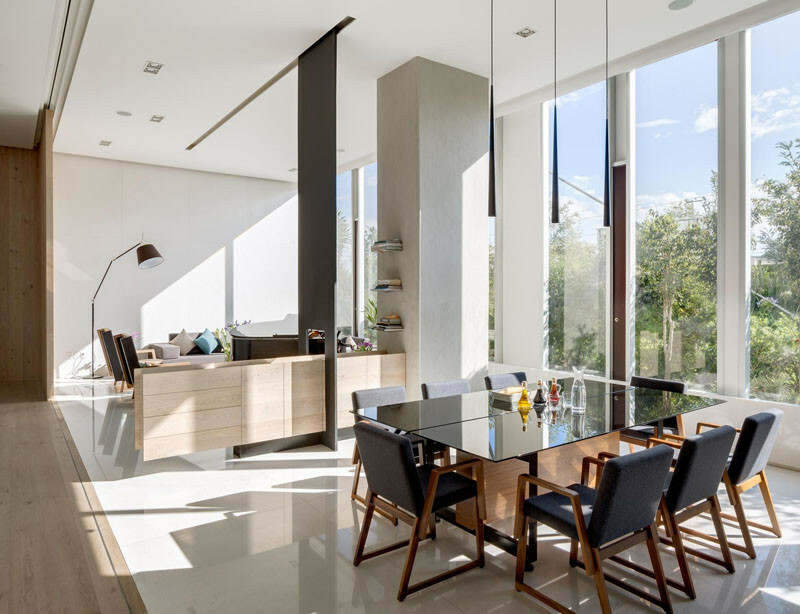 Large windows along the length of the wall, fill all the spaces with sunlight. 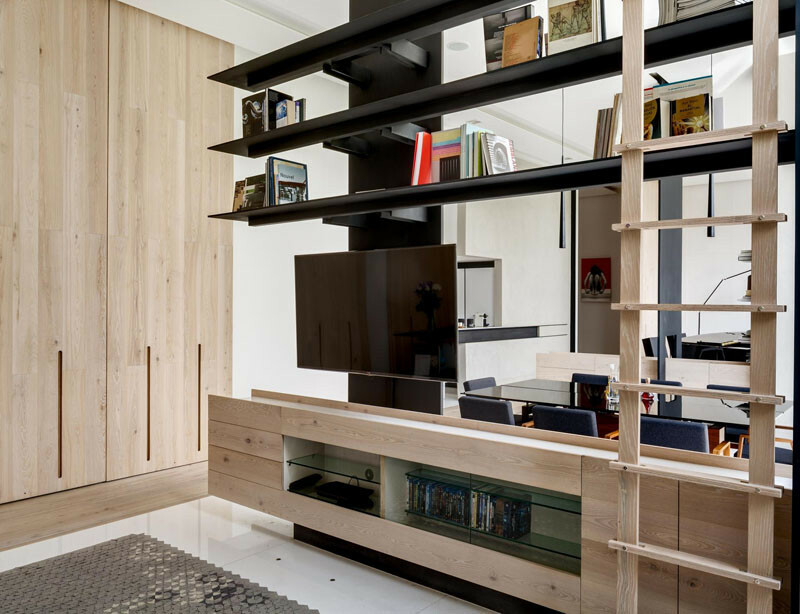 On the other side of the dining area, the next divider is home to a TV and open shelving. Again, the larger space has been divided, but without the use of solid walls. 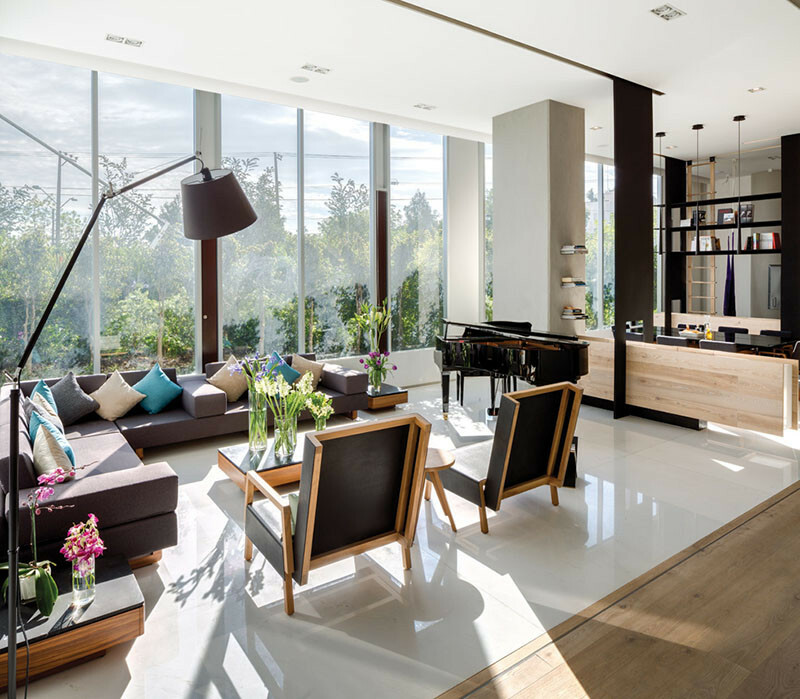 Light and views pass through, and an open airy feeling is maintained. 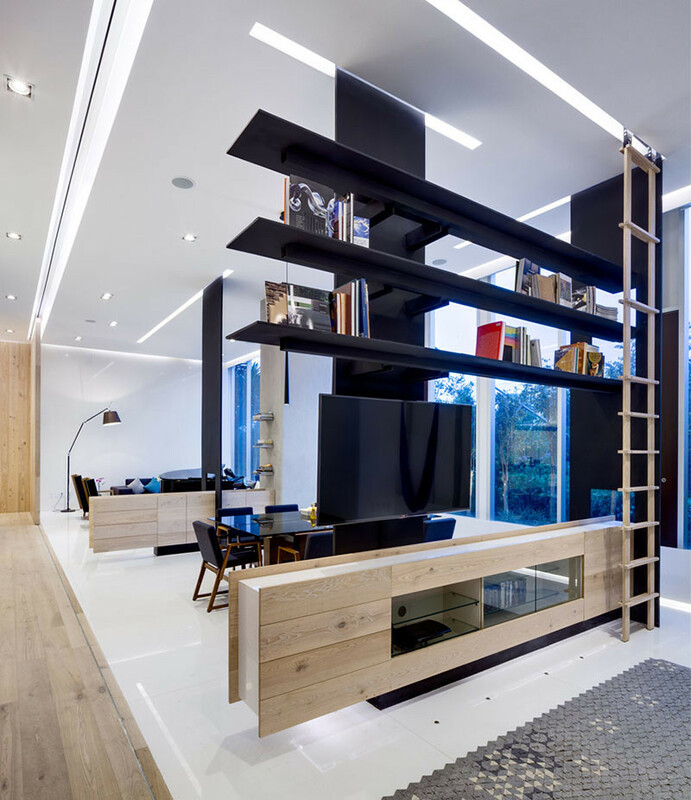 A movable ladder gives people access to the upper shelves, and there’s storage below the television as well. In this more casual area, as opposed to the lounge/living area we saw earlier, it’s OK for the sofa to directly face the TV, because this area isn’t expected to be where entertaining friends and family takes place.